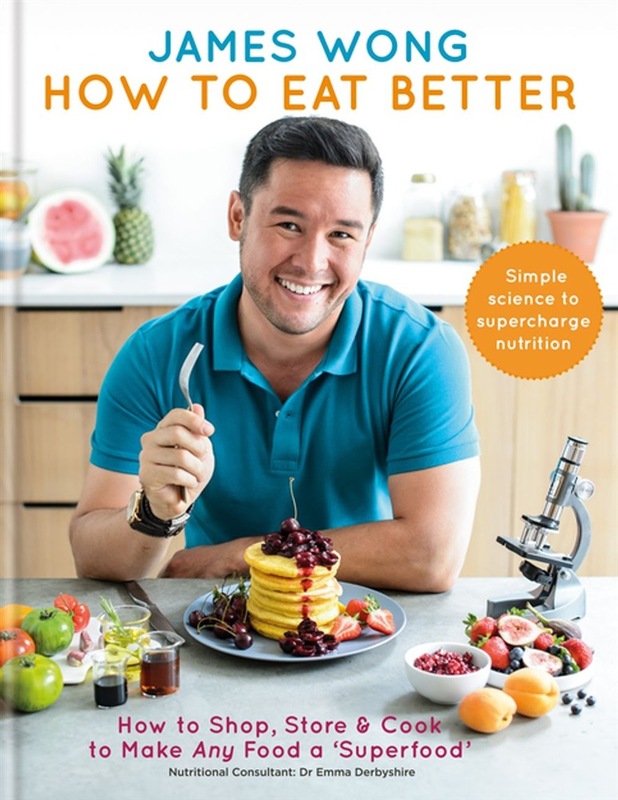 'James Wong brings some welcome sanity to the world of healthy eating...its genius is his advice on how to get more nutrition from fruit and veg. It's fascinating, and better than cutting out food groups or paying for so-called superfoods' - delicious. magazine SELECT a Braeburn apple over a Fuji and get almost double the antioxidants from a fruit that tastes just as sweet. STORE strawberries on the counter, instead of in the fridge, and in just four days they will quadruple their heart-healthy compounds. COOK broccoli with a teaspoon of mustard and send its levels of cancer-fighting potential skyrocketing ten-fold. Between the rush to keep up with the latest miracle ingredient, anxiety about E-numbers and demonization of gluten/dairy/sugar (or the next foodie villain du jour) many of us are left in a virtual panic in the supermarket aisle. Tabloid headlines, 'free-from' labels and judgemental Instagram hashtags hardly help matters - so what should we be buying? How to Eat Better strips away the fad diets, superfood fixations and Instagram hashtags to give you a straight-talking scientist's guide to making everyday foods far healthier (and tastier) simply by changing the way you select, store and cook them. No diets, no obscure ingredients, no damn spiralizer, just real food made better, based on the latest scientific evidence from around the world. With over 80 foolproof recipes to put the theory into practice, James Wong shows you how to make any food a superfood, every time you cook. Acquista How to Eat Better in Epub: dopo aver letto l’ebook How to Eat Better di Wong James ti invitiamo a lasciarci una Recensione qui sotto: sarà utile agli utenti che non abbiano ancora letto questo libro e che vogliano avere delle opinioni altrui. L’opinione su di un libro è molto soggettiva e per questo leggere eventuali recensioni negative non ci dovrà frenare dall’acquisto, anzi dovrà spingerci ad acquistare il libro in fretta per poter dire la nostra ed eventualmente smentire quanto commentato da altri, contribuendo ad arricchire più possibile i commenti e dare sempre più spunti di confronto al pubblico online.